The Baileyville Community Hall is an historic building in the town of Baileyville, Pennsylvania Furnace, PA. From its humble beginnings as a two-room school house, the Hall now serves the community as a gathering place for a variety of community events. You are an important part of our history, and our community! Did you know, that if you live in the Pennsylvania Furnace area, you are automatically a member of the Community Hall Association? The Board of Directors meets the second Thursday of each month at 7:30 p.m. at the Community Hall. You are welcome to join us! 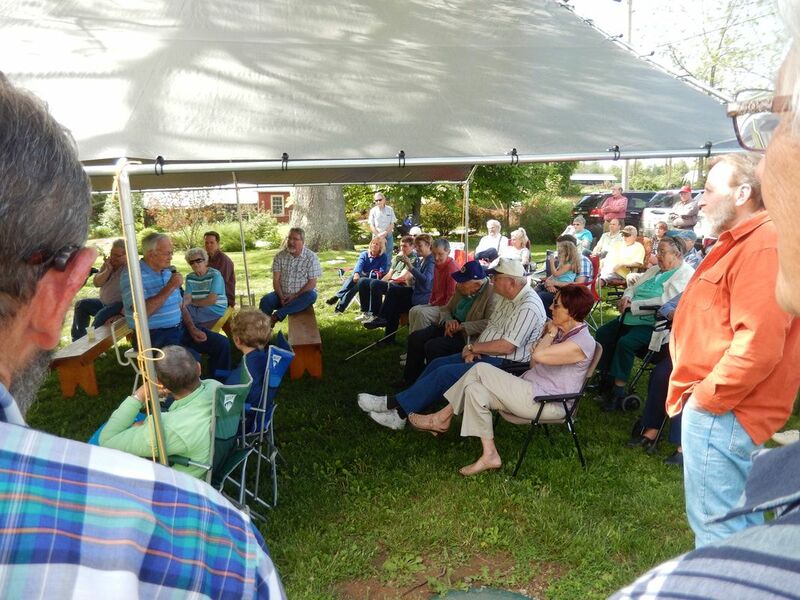 About 80 people showed up for the Baileyville Community Picnic on May 2018. Everyone enjoyed the beautiful weather, the great music by Bluegrass Redemption, the stories told by Elwood Homan, the update by Bob Hazelton on the progress at the Iron Furnace, and of course, the great food! We can't forget the Pie and Cake auction - auctioned off by none other than Ron Gilligan - thanks to everyone's generosity, the auction generated over $1500 for our Capital Improvements fund! Learn more about your local area. 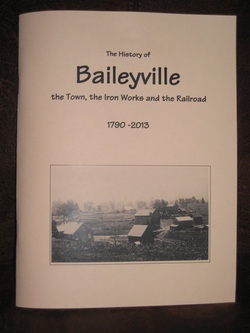 The book - Baileyville: The Town, the Furnace and the Railroad is full of pictures and information about the Baileyville area, including the railroad and the Pennsylvania Furnace Iron Works. Available for $20.00 + $3.00 shipping. Click here. Although rental fees keep the Hall functioning, we rely on donations to help us make improvements and repairs to the facilities. Your support is appreciated. Checks can be made payable to BCHA (Baileyville Community Hall Association) and mailed to PO Box 43, Pennsylvania Furnace, PA 16865. The Baileyville Community Hall is available to rent for events such as meetings, parties, dinners, receptions, music festivals, etc.